As you might know, I've been looking to widen my remit here a bit on the blog, and have been doing the odd travel post and the like. 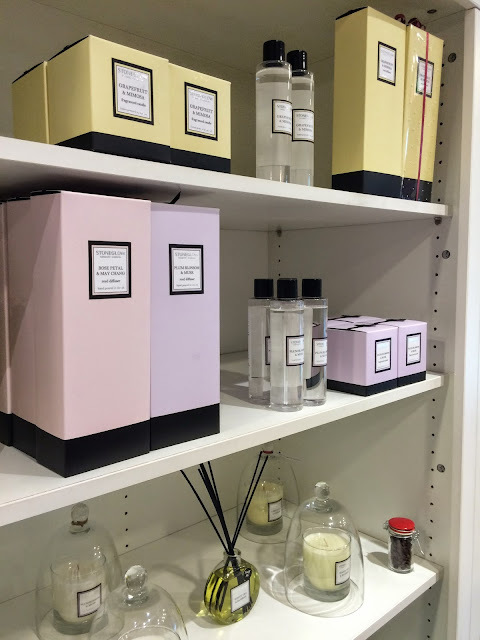 So when home fragrance brand Love Aroma got in touch I was really excited. Even more so as they were opening up a shop in my home town. 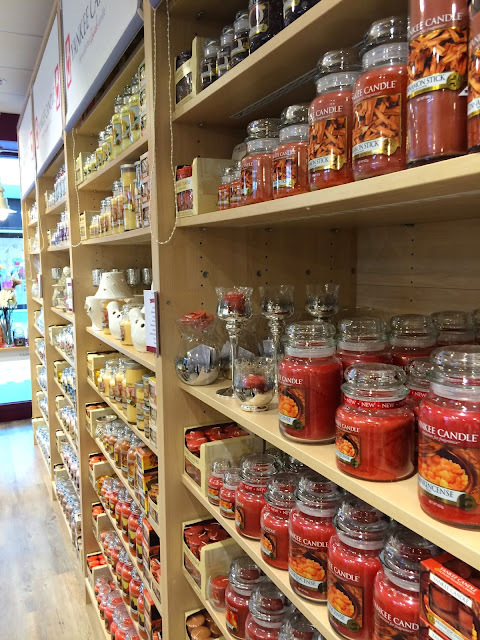 Yankee Candles as far as the eye can see. The lovely Jo, Brand Marketing Manager invited me down to a preview of the store the day before it opened its doors to the public. Myself and and fellow blogger Lindsay were shown round the shop by Jo herself. 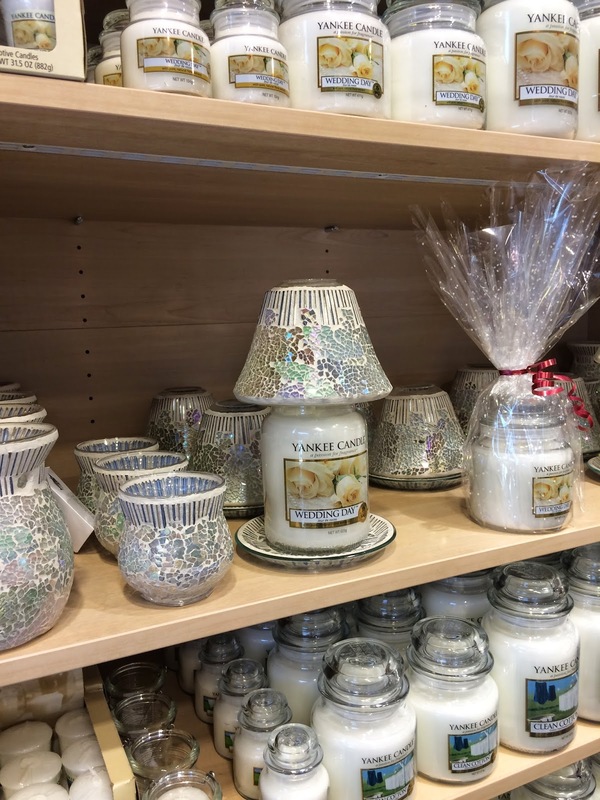 Now, I'm not a candle aficionado, I know I like them and they make my house smell nice, but other than that I'm not too down with the brands or trends. The new Yankee Candle 'Cafe Culture' range. So as you can imagine, it was quite the education! 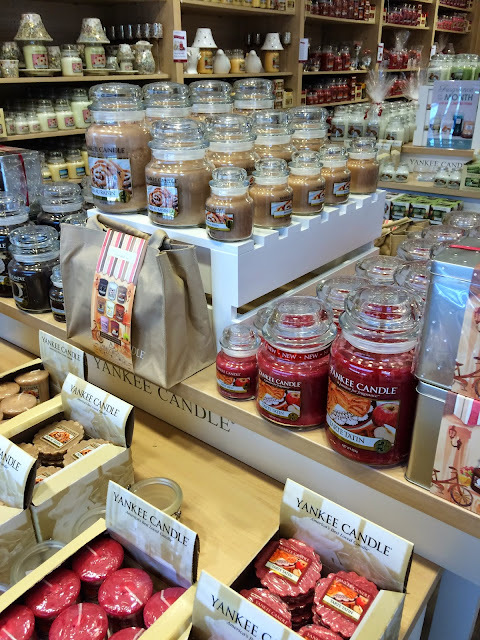 I of course am familiar with Yankee Candle and its almost cult status, and after several sniffs of just some of the vast range stocked at Love Aroma, I really started to understand why people rave about them so much. 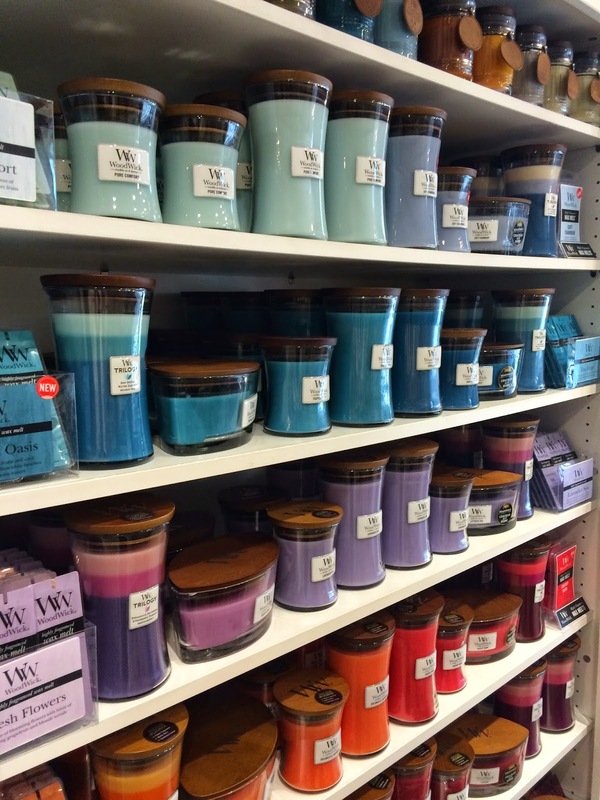 The fragrances are just so perfumed and vivid and the choice is almost overwhelming! But as with any fragrance, I guess you have a rough idea of the kind of smells you like, so you can narrow it down at least! The hugely popular Wedding Day fragrance. I think what struck me about Love Aroma is their knowledge and dedication to home fragrance. 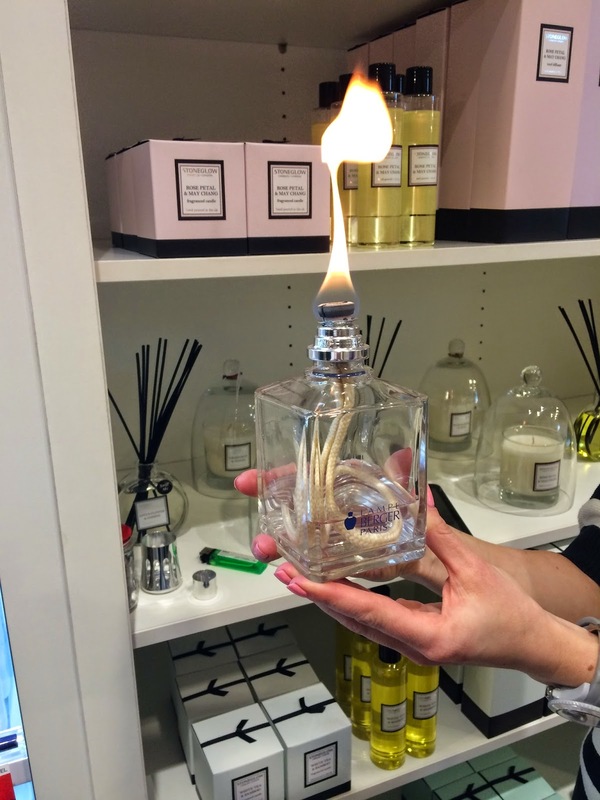 Sure, you can pop into a gift shop or department store on any high street and pick up a candle, but at Love Aroma the team members really know their stuff and can advise you on the best candle for your tastes or occasion or room for that matter. And it's not just Yankee candles, Love Aroma also stock beauty/spa inspired range Stoneglow, fragrance lamps by Lampe Berger and my personal favourite WoodWick. 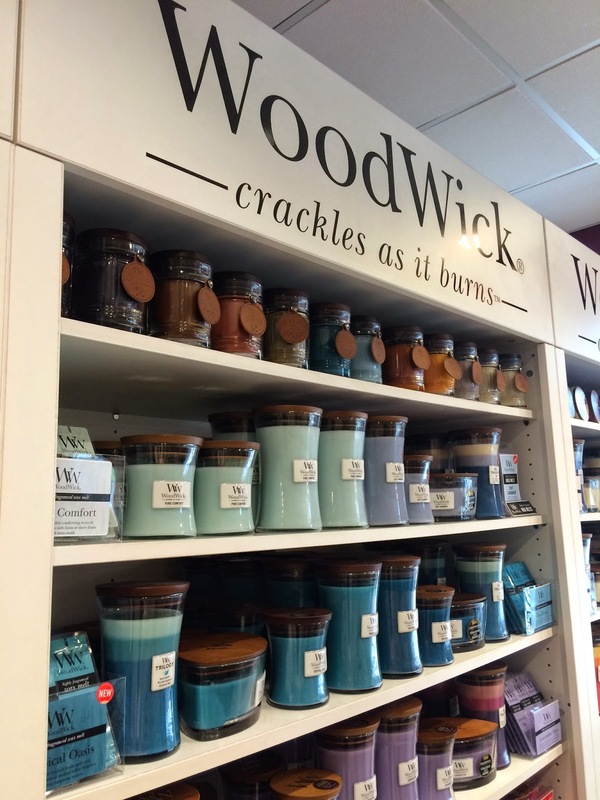 Where Yankee Candles are quite fun and cute, WoodWick are a bit more grown up. Their rich but fresh fragrances are so delicious and the unique wooden wick is amazing, it makes the loveliest crackling noise as it burns, like an open fire. It really is quite special. 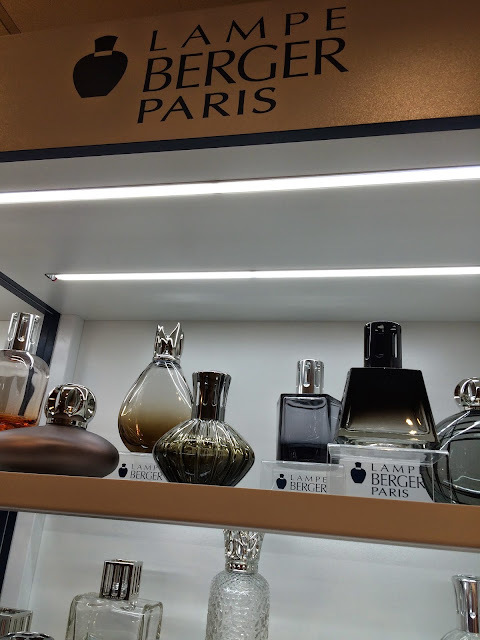 Before we left, Jo showed us the Lampe Berger range. Originally developed in the 1890s by Maurice Berger as an air purifier for hospitals, it was soon adapted for the home and uses catalytic filter technology. It's very clever stuff. Once the element at the top has heated up after a few minutes, the flame can be extinguished. The heat in from the hot stone element draws the liquid up and out and the aroma fills your home whilst also neutralising smells. You can read more about it on the website (where it's explained much better!) I love the idea of these, they're so novel and the bottles are beautifully decorative, they'd look great in anyones home. If I've whet your appetite for sprucing up your living space and adding some fragrance to your life, I've got an exclusive discount code for the online shop. Enter MRSBEBE10 at the checkout for 10% off your order. I really can't recommend the guys at Love Aroma enough. Check out their online store or if you're based in Lincolnshire, pop into the Grimsby store. You'll also find Love Aroma stores in Derby, Leicester, Leeds and Sheffield (details on the website).